Ed Hubennette is an international business leader with recognized skills in developing, motivating and coaching leaders for the future. As an executive coach and consultant, Ed draws upon his prior professional experience in management, customer service, business strategy, operations, product management marketing and development. Today, he coaches and leads workshops for some of the largest corporations, nonprofits and governmental organizations worldwide. 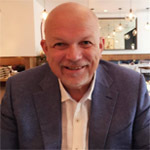 Ed has over 40 years of experience in the hospitality industry, working for some of the world’s leading hotel organizations in New York, Bangkok, Hong Kong, Tokyo and Honolulu. Most recently he headed Marriott’s organization as Vice President of United Kingdom and Ireland for over five years, at the time exceeding one billion in revenue and managing more than twelve thousand employees. Prior to that, Ed led Marriott’s operations in Hawaii, Asia, Australia and South Asia as Vice President of Asia & Pacific for over 10 years, giving him a broad spectrum of knowledge succeeding in different cultures and environments. Living and working in diverse cultures, Ed developed a deep awareness for different points of view, which informs his coaching practice. Ed is a Trustee of Bobby Kennedy Jr’s Waterkeepers Alliance, a board member for The American Red Cross and has been active in several community national and international non-profits. He also participated in the Asia Pacific Center of security Studies a leaning center for senior military personal from across the Pacific region. His education includes The Thunderbird School of Management, Wharton International Finance, Cornell University School of Hotel Management as well as Cambridge College in the United Kingdom.